It's heartwarming to see so many Frasier fans on this forum with me! Hope to get to know y'all soon! Love it when a new member posts for the first time. 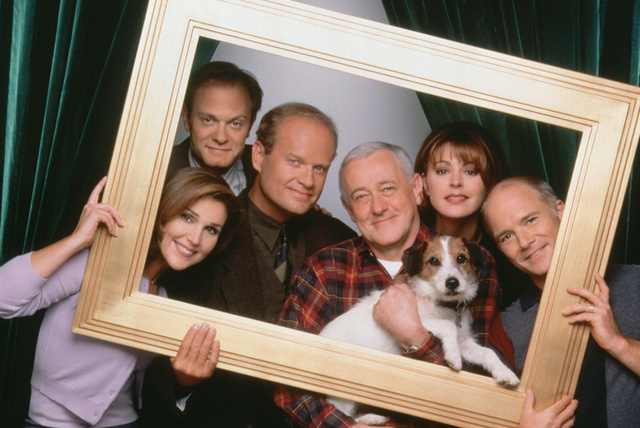 The show (Frasier) was so positive and optimistic and I think we all love to express that with each other on here. A new member is a new and potentially fresh prespective on the show and the way we appreciate it. I love it. I look forward to the many thoughts you may have. Frasier saved you from dark times? I may get brave enough to ask you about that one day....in the meantime it's great to have you in board. I've been watching Frasier for ages actually and was even a member of FO, but never thought to join this forum till now. Thanks for the warm welcome! Hello and welcome . I'm a bit late to the party, but I'm definitely glad to see new members here! There is something about this show that puts it on top of every one else.